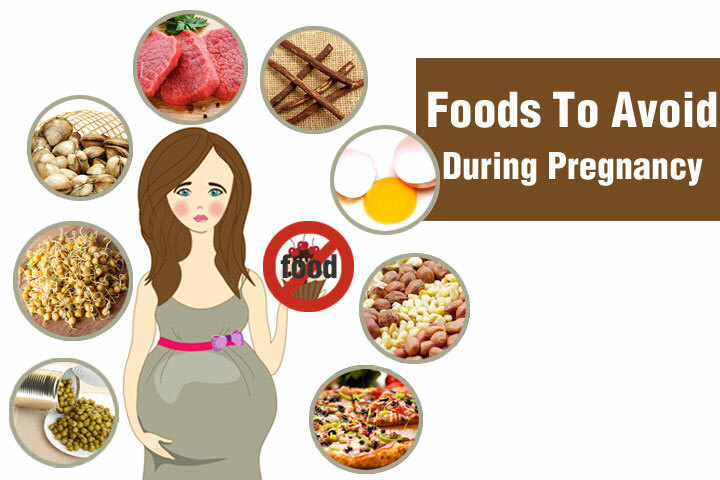 Unlike popular belief, there are very few foodstuffs that you must totally avoid while you are pregnant. However during this time, you could start loving or craving for certain foodstuffs while disliking others that you may have liked before pregnancy. This is perfectly normal; so follow your taste buds but also making sure that you are taking a healthy diet for you and your baby. Dairy Products – Any dairy product that you take like cow’s milk, goat’s milk, yogurt or cheese must be pasteurized. It is also advisable to stay away from soft and blue-veined cheeses during this time as it can be contaminated with listeria if not stored properly. Listeriosis can lead to a miscarriage, still born or a baby with birth defects. Some examples of soft or blue cheeses include Camembert, goat cheese, feta, Brie and Roquefort. Also stay away from Mexican style cheeses like Panela, queso fresco and queso blanco. Hard cheeses like Swiss or cheddar and semi-soft ones like cream cheese, mozzarella or Monterey Jack are quite safe as these are made from pasteurized milk. Raw or precooked foods – Cold cuts, precooked delicatessen meats, raw meats or seafood are best avoided during this time. Raw or undercooked eggs can cause salmonella food poisoning which can be really dangerous for you and your baby’s health. While taking eggs, make sure these are thoroughly cooked; avoid taking salad dressings or mayonnaise which contain raw egg as an ingredient. Also ensure that the meat is cooked well especially if you are eating kebabs or steaks. Avoid taking meat that still retains a pink color like a rare steak and this lead to food poisoning like salmonella infection or toxoplasmosis. Raw or cured meat like Parma ham is another no during this time. Use a food thermometer if you are not sure if the food is cooked all the way through. Pork dishes must be cooked at 145°F, poultry between 170 to 180°F and seafood at 145°F. Seafood – Though seafood is extremely healthy, there are certain types that you need to avoid during pregnancy. It is best to stay away from swordfish or similar large predatory fish as these contain higher quantities of mercury which can lead to mercury poisoning. Sushi – Sushi platters made with raw fish is also to be avoided while you are pregnant as it can be contaminated with certain bacteria and parasites which might be harmful for you or your baby. Sometimes, there is no risk but you could end up suffering from vomiting and dehydration which takes a toll on your baby too. Ready-to-eat foods – Ready-to-eat meals like salads or sandwiches is best avoided during this time especially if it contains meat, seafood or eggs, Improper storage and handling of these ingredients put up at risk of getting food poisoning from organisms like Salmonella or Listeria which is bad for you and your baby. The chances of conceiving or getting pregnant while using any kind of contraceptive method might be less but not nil. This is a reality that you must be prepared for while using any kind of birth control method. If you have an IUD (intrauterine device/coil) and still conceive, then the chances of a miscarriage are greatly increased. Apart from the high spontaneous abortion rate, there is also a risk of developing adverse gestational and neonatal complications. The chances of an ectopic pregnancy are also higher if you have an IUD. It is best to consult an obstetrician as soon as you become aware of your pregnancy. The IUD must be removed at the earliest date possible and is ideal to be done during the early days of pregnancy. Many obstetricians advise termination if you and your partner are not planning for a baby. But termination is definitely not necessary if you wish to have the child and are aware of the possible complications. Your obstetrician may remove the IUD by pulling at the strings if it is visible or resort to removal by ultrasound guidance if this is safe at that particular point of pregnancy. Never try to remove the IUD yourself and consult a doctor at the earliest. Sometimes, if it becomes too late to remove the IUD and you want the baby, the doctor may advise you to go ahead with the pregnancy. There are many women who have uneventful pregnancies and childbirth with an IUD in which case the device is delivered along with the placenta. However, if you are pregnant with the IUD inside, then it is advisable to be monitored regularly to ensure that the baby is fit and healthy. Even if you have been taking the pill, there is a small chance that you can conceive. The chances are more on the days you forget to take the pill or suffer from a stomach upset and vomiting in which case the hormones do not get absorbed or if you are taking antibiotics. If you have conceived and without being aware of it continue to take the pill, then the chances of your baby being born with congenital abnormalities are slightly higher. But on the other hand, there are women who have been on the pill while pregnant but give birth to normal and healthy babies. The fact is that there is a slightly small but definitive risk. Many studies have reported a risk factor though clinical experience has been otherwise. Most women do not realize that they are pregnant while on the Pill because the signs and symptoms of pregnancy like breast tenderness, nausea and irregular menstrual bleeding can also be side effects of being on the pill especially if you are taking the minipill (birth control pill with only progestin). If you conceive while on this pill, the chances of ending up with an ectopic pregnancy are higher. If you think you are pregnant while on the Pill, then the best thing would be to stop using the pill and consult a doctor to confirm if you are pregnant or not. During this time, you can use natural birth control methods like condoms till you have ruled out or confirmed pregnancy.